After playing several games from the recent My Little Game Dev Marathon, I realized that I couldn't review them in our standard format. For one thing, it would be unfair to hold a game created in two weeks to the standards I'd expect from a larger project. For another, it would be impossible to do them all justice! Instead, I tackled three of my favorites at once and graded them against their peers. Find Pinkie or Not Pinkie, Primaeval Threat, and The Moon below the break! I know I'm not the only one who wondered if Twilight accidentally left the wrong Pinkie Pie standing after the chaos of s3e03. Now, you can relive the sinking feeling that you've just blasted one of your friends into oblivion... over and over and over again. 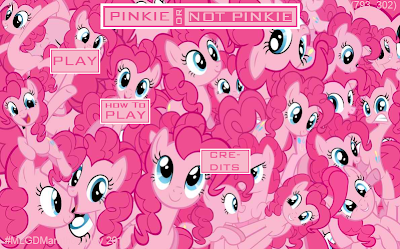 The premise of the game is simple enough - playing as Twilight Sparkle, blast away at a horde of Pinkie Pies until there's only one left. At the end of the game, you'll be informed whether you made the right clicks along the way. Fortunately, the player has a "distraction button" to help weed out the fakes - the Pinkies who succumb to the diversion can be safely eliminated. I ended up playing through the game several times, coming irritatingly close to victory. 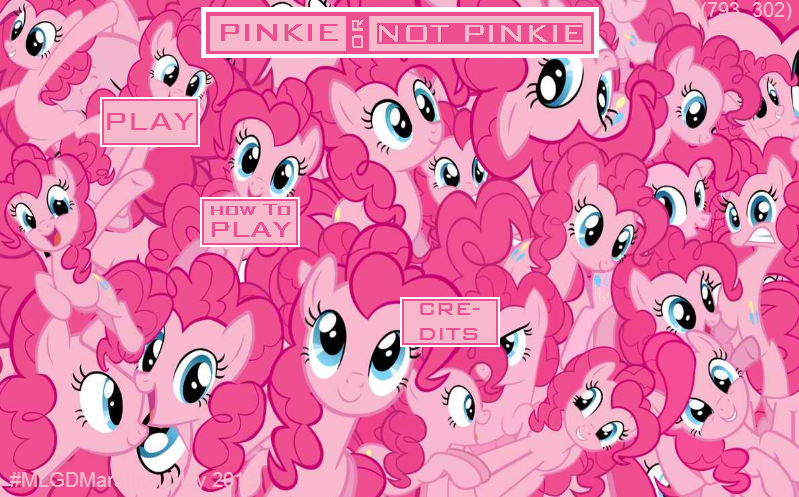 It may be simple, but Pinkie or Not Pinkie gets points for originality and fun. Set in a space-age version of the ponyverse, Primaeval Threat is a step up from your average choose-your-own adventure game. Techna is a World Custodian, a member of a dwindling organization tasked with protecting ponykind. 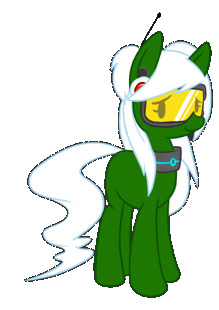 As such, when a pony ventures into the prison of an ancient evil, it is Techna's duty to track her down and bring her back. With 118 slides and multiple endings, Primaeval Threat has perhaps more content and gameplay time than any other game entered in the Marathon. The game avoids railroading smoothly - at every juncture, the player is presented with a several options based on the chosen skills of their character. Primaeval Threat's engaging storyline and decent replay value certainly don't hurt its appeal. Bonus points for adding to my headcanon! Best princess on the moon? (Almost) always a recipe for success. I'm not sure I've ever played a ponified escape the room game before, but this one was certainly a treat. The version of The Moon submitted to the My Little Game Dev Marathon is only the first chapter of what will hopefully blossom into a much larger project. However, in its current form, the game already hints at a complex storyline, stylish character portraits, and frustrating puzzles to come. 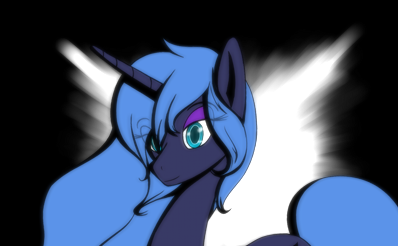 Trapped in a mysterious throne room, Princess Luna interacts with two separate, conflicting manifestations of Nightmare Moon - thus setting up a unique take on her backstory. I'm notoriously bad at escape the room games, but I was able to solve the throne room puzzle (despite, at several points, being convinced that it was impossible.) Hopefully, we'll see more content soon in the form of a second installment!